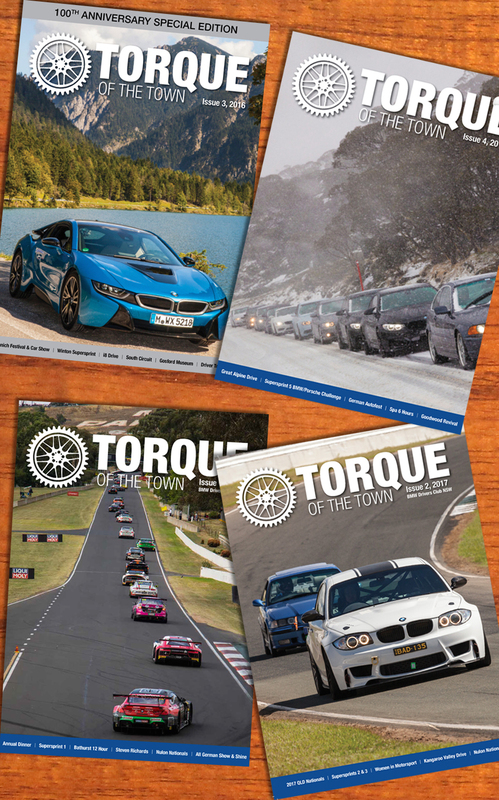 Torque of the Town is the journal of the BMW Drivers Club NSW. It provides members with a retrospective view of all events in words and pictures, plus interesting articles from members from the last three months. It is published in brilliant colour and mailed to members. All members are invited to submit articles and images for publication. They receive points in the Member of the Year competition for all items published.